There’s only hours to go now until theatres across Australia screen the new Star Wars film, A Force Awakens. And for all those fans out there nervously trying to fill in time until 12.01am, we’ve got you covered. Meet Darth Mykolaiovych Vader. Turns out he’s a bigger Star Wars fan than any of us. 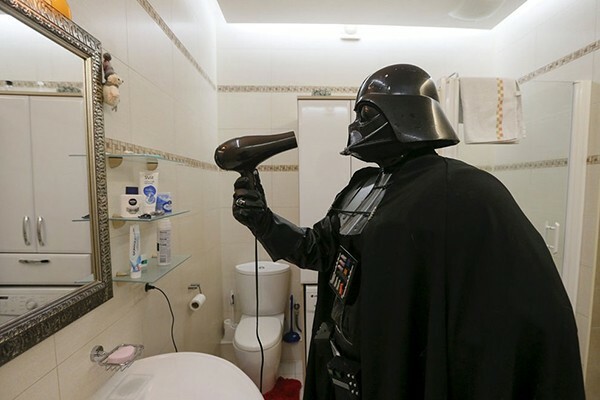 This Sith Lord goes about daily life just like the rest of us, only over in Ukraine. This guy, a one-time mayoral candidate for the city of Odessa, lives and breathes Star Wars. 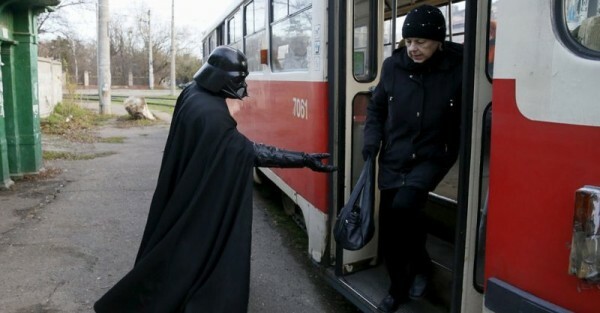 He catches public transport, cleans and reads in his Darth garb. He even has time for a spot of embroidery. The very picture of domestic bliss. Spot of light reading. For a supposedly evil Sith Lord his reputation is somewhat compromised by all those soft toys, including that rather cute Hello Kitty heart pillow. Personal grooming is very important, no matter how busy things get while hatching plots to take over the world. Or at least your corner of it. 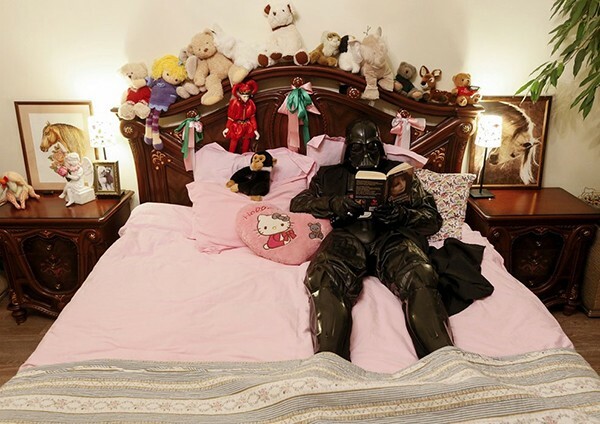 Who said bad guys don’t have a softer side (remember all those cuddly toys)…and she is wearing black too. Must be his mum. 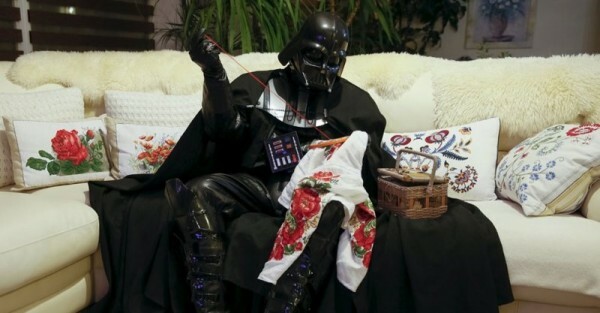 Every Sith Lord needs a hobby, and embroidery is the perfect way to de-stress and take your mind off the rigours of intergalactic conquest. Head on over to Design You Trust for more hilarious day-in-the-life of Darth pictures. And let us know on Facebook what you think of the new Star Wars movie.